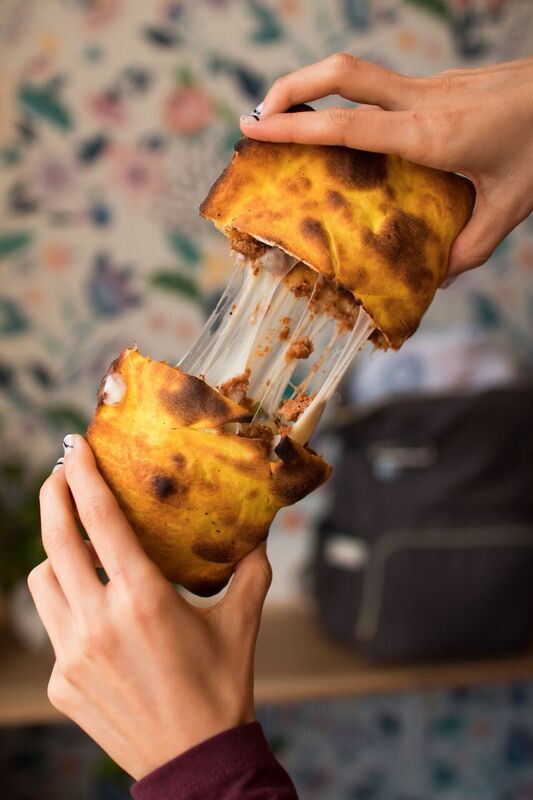 Italian Meat Pie at Pendleton Carryout Co.
Pendleton Carryout Co. (PCOC) opens today at 4:30 PM in Alexandria, Virginia (807 Pendleton Street) with two concepts from local chefs, Sliced and Laoban Dumplings. 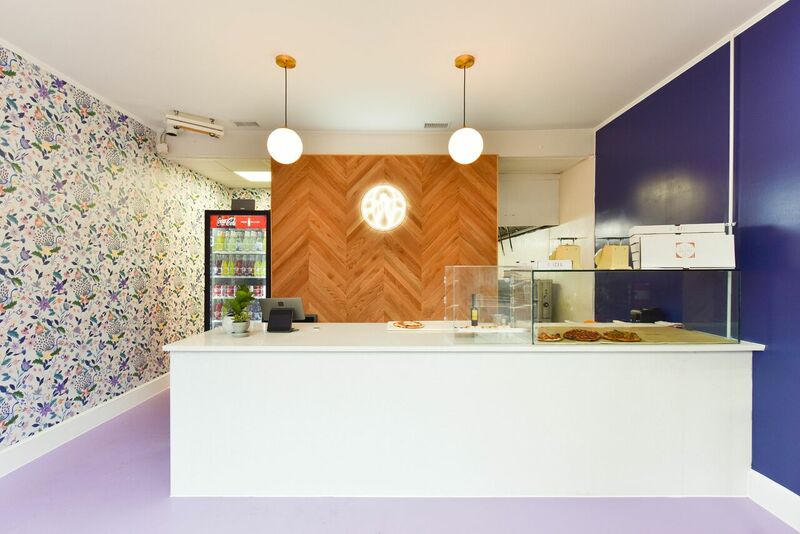 The standing-room-only incubator offers the neighborhood a quick and beautiful place to grab a bite, as well as new delivery options. 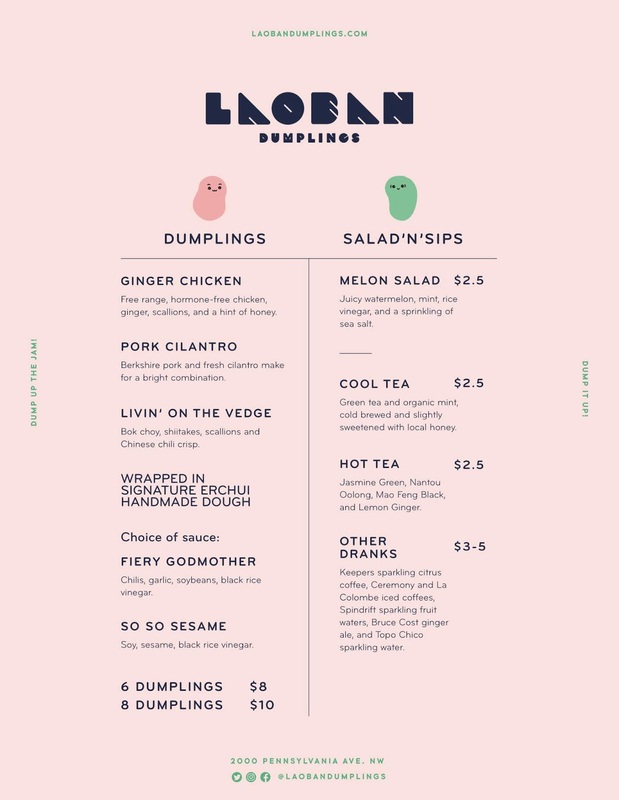 Open daily from 12:00 PM to 9:00 PM, PCOC plans to offer three concepts at a time, rotating in various up-and-coming restauranteurs at regular intervals. 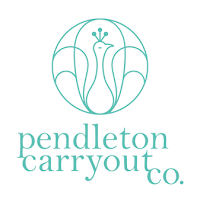 Delivery and carryout options can be found at www.pendletoncarryoutco.com and include Postmates, Bite Squad, DoorDash, ChowNow and more. 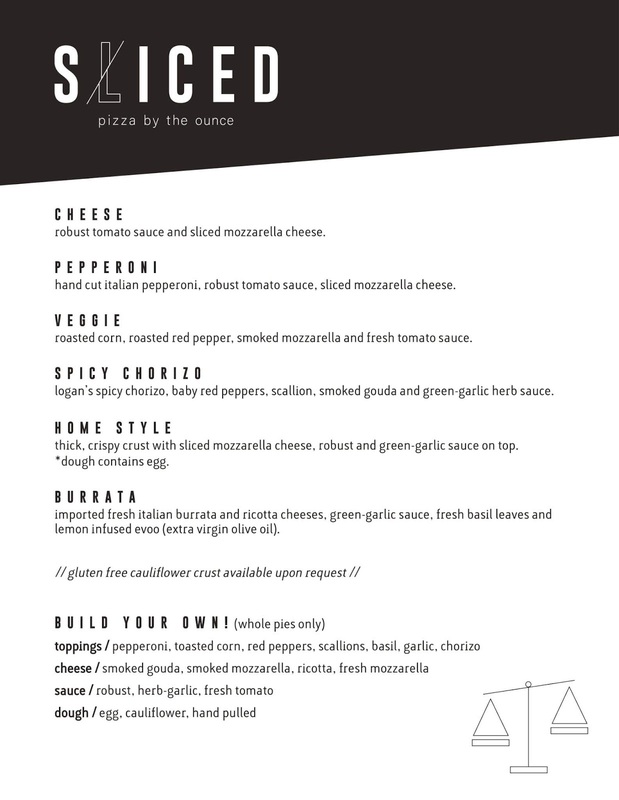 At Sliced, chef Ed McIntosh, formerly of Tortilladora and currently working as chef of the forthcoming Alexandria restaurant Chop Shop Taco, serves crispy Roma style pizza by the ounce. Served by 8 oz (slice), 16 oz (half pie) or 32 oz (full pie.) 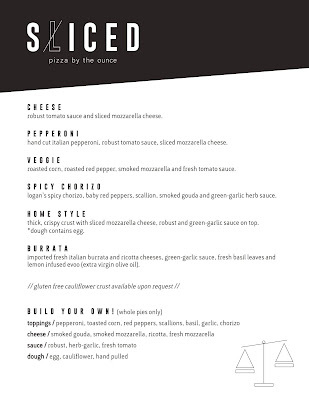 Sliced offers a variety of pies ranging from a classic cheese and pepperoni to original combinations. McIntosh’s pizzas are made with one of three house-made sauces: a robust tomato, thick in texture and full of flavor, a lighter tomato sauce with whole fresh roasted tomatoes and a garlic-herb made with garlic and chimichurri sauce. Gluten free cauliflower crust is available upon request. Sliced also offers an Italian meat pie, a play on Jamaican beef patties, similar in shape to a calzone and stuffed with Alexandria’s Logan’s Sausage Company spicy chorizo and smoked gouda cheese, wrapped in a crust made with turmeric oil, which gives the handheld pie a golden yellow color. 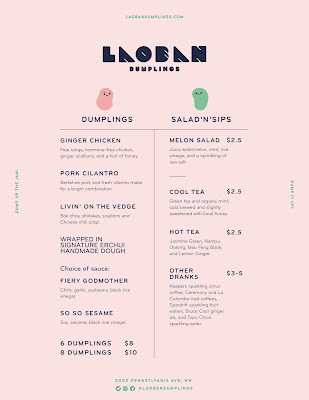 From the same kitchen and carryout counter, guests can order Patrick Coyne’s Laoban Dumplings. Like McIntosh, Coyne is a veteran of Shop Made DC. PCOC offers a rotating variety of dumplings (15 and counting), wrapped in his signature erchui dough and served with Fiery Godmother or So So Sesame sauce. The current menu includes a ginger chicken option with free range, hormone-free chicken, ginger, scallions and a hint of honey, a pork cilantro dumpling with Berkshire pork and fresh cilantro, as well as a satisfying vegetarian option with bok choy, shiitakes, and scallions, with Chinese chili crisp. A juicy watermelon salad with mint, rice vinegar and sea salt is a perfect, cooling complement to spicy dumplings. Beverages include a cold-brewed green tea with mint, a selection of hot teas by In Pursuit of Tea, and a selection of canned and bottled coffees and soft drinks. The small brick building takes the place of a former bodega, which has been painted bright white and given a modern blue awning. Inside, brilliant colors cover the floor and walls, while colorful wallpaper, light wood accents and neon lights make for Instagrammable backdrops. PCOC is a partnership between Teddy Kim (Avanti Holdings, Madison Collective which includes Chop Shop Taco, and The People’s Drug), Kris Garcia, and McIntosh. 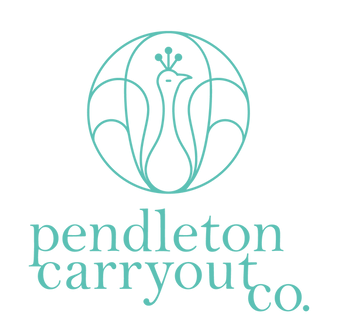 For more information, visit www.pendletoncarryoutco.com, follow the team on Instagram at @getSLICEDalx and @LaobanDumplings.